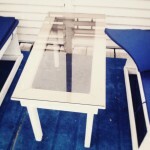 This is a small table I made for under my deck on my patio. 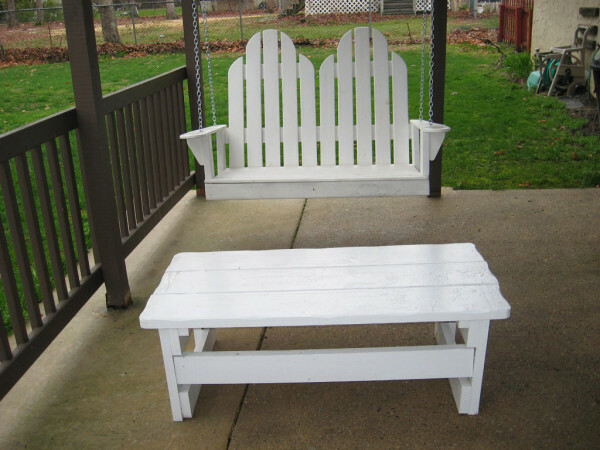 The table is made of pine and I painted it white to match the swing. It is a nice addition to any patio. In the summer it is nice and cool under my deck. Because the afternoon sun beats down on top of the deck.